Parker Hargraves was once an ultra-mega, grade-A jerk to Alexia Burton when they were teenagers. 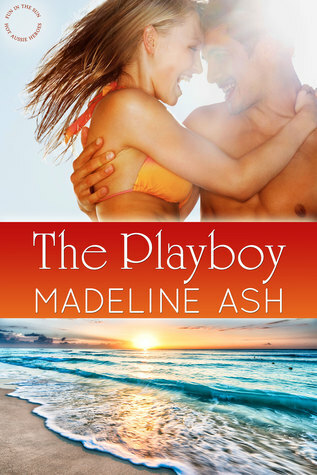 Years later Parker has grown and matured, and by a chance encounter he runs into Alexia who is vacationing in her native Australia. Alexia is in a bit of bind and when Parker finds out he decides to help her out. While Parker is helping Alexia and organizing a fundraiser for the Royal Flying Doctors, he is also falling for her. Alexia doesn't want to fall for Parker, not when she saw what love did to her mother and how it cost her, her dream. Eventually, these two are able to find themselves back to each other and Alexia learns that with a loving and supporting partner, no one has to make any sacrifices. The story was sweet and entertaining, at times Alexia is a bit annoying in how she won't give Parker a real chance because of her fears. Parker was so great, he was a jerk in high school, but after a family tragedy and an eye-opening message by his parents. Overall, the story was great and very enjoyable. Although, it's the third book in the "Hot Aussie Heroes" series, like the last two, it is a stand alone novel.